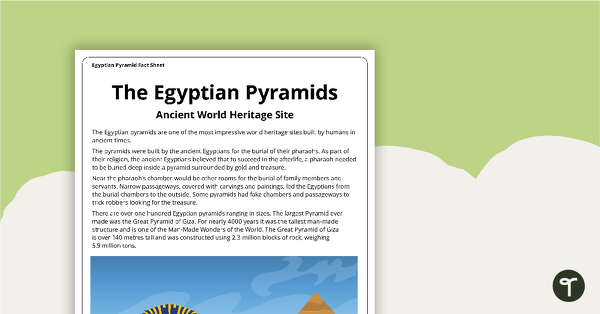 A collection of resources to use when learning about Ancient Egypt. 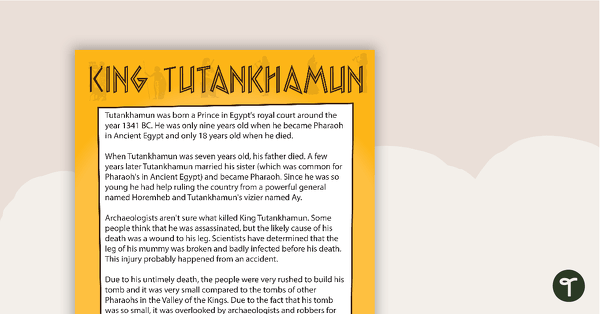 Decorate your classroom with our Ancient Egypt themed decorations and use our worksheets, posters, activities and PowerPoint templates for learning activities. 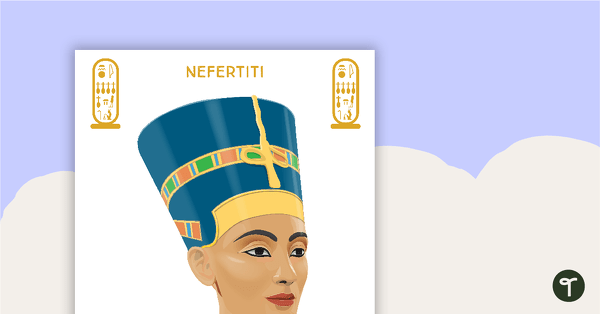 Immerse your students in learning about the great pharaohs, incredible pyramids and the mighty Nile River. 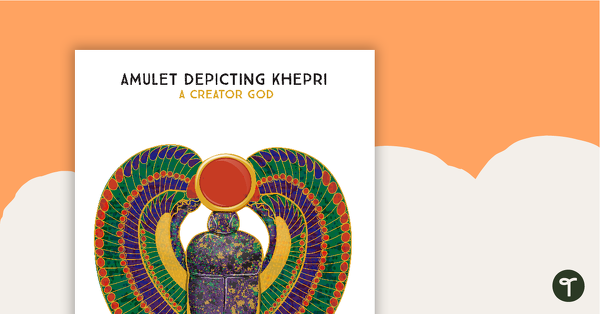 A poster showing an amulet depicting Khepri. 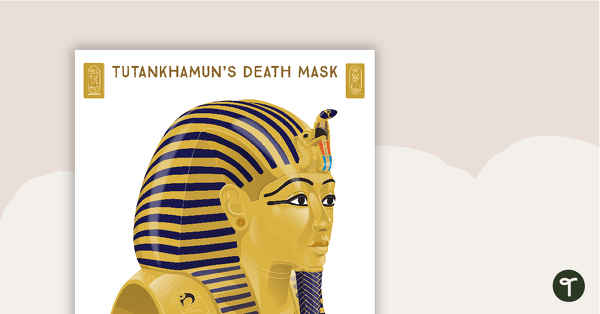 A poster showing King Tutankhamun’s death mask. 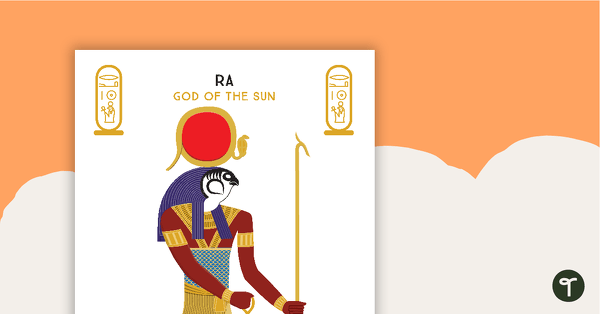 A poster showing Ra – God of the Sun. 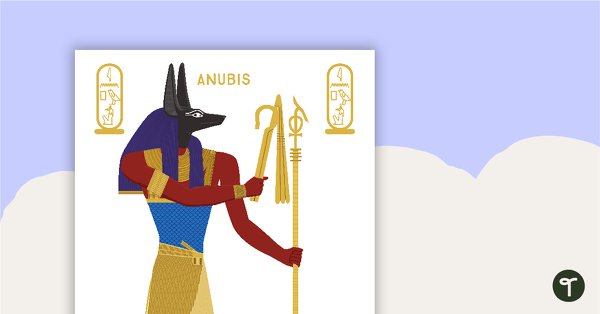 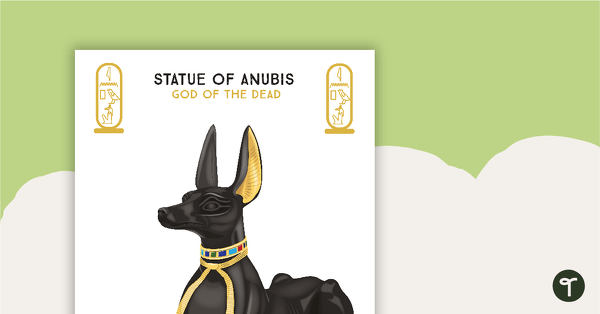 A poster showing the Statue of Anubis – God of the Dead. 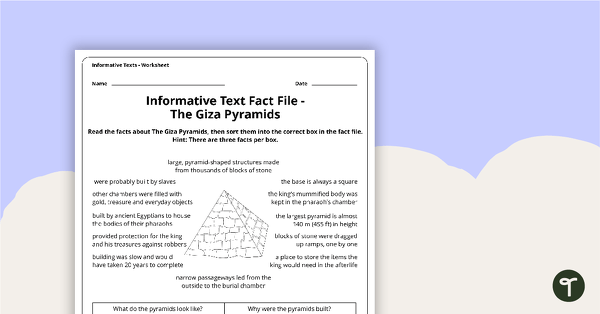 A 2 page comprehension task for students to use in the classroom when learning about the Egyptian pyramids. 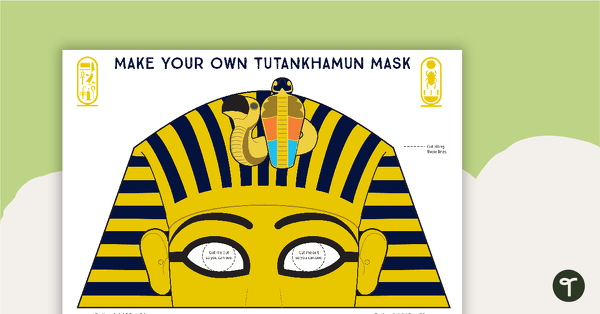 A template to make a King Tutankhamun mask.